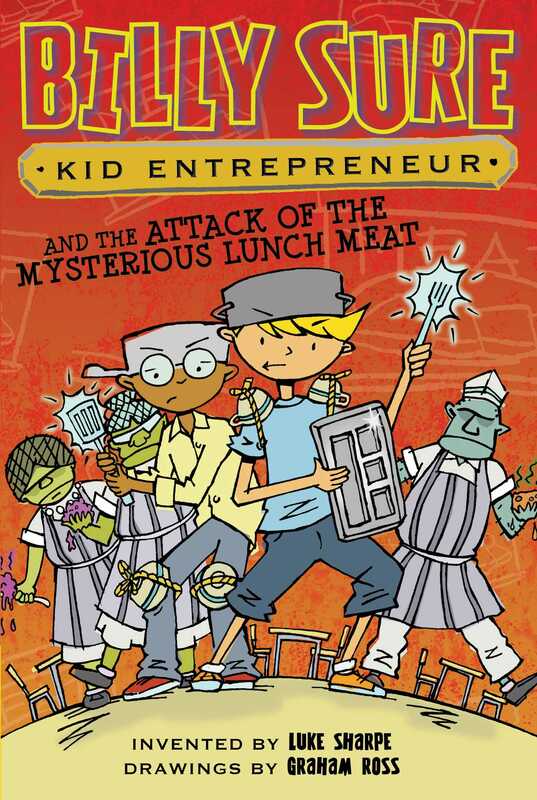 The students at Fillmore Middle School have turned into zombies and it’s up to Billy to invent something that can turn them back in the twelfth book of a hilarious middle grade series! There’s something mysterious oozing its way down the Fillmore Middle School cafeteria, and yup—it’s more mysterious than normal! There’s a new lunch lady in charge, and her menu is so terrible it can’t be solved with a sprinkle of Gross-to-Good Powder. But there’s something even worse than disgusting school lunch happening. Everyone who eats the new food turns into a zombie! First Petula Brown, then Peter MacHale, then—oh no, Manny? Billy’s got to invent something to stop the attack of the evil lunch meat, but could this be a food fight that Sure Things, Inc. can’t win?